Last March we published a post entitled ‘the Future of Cannabis Branding in Canada’, a broad overview of the current landscape and discussion of where the cannabis space might be headed in the future. Six months later, with an amended Bill C-45 about to enter the senate, the legalization of cannabis is much closer to becoming a reality. With that in mind, we’ve collaborated with some of Canada’s leading cannabis consultants to produce a living infographic we’re calling the Canadian Greenscape™. 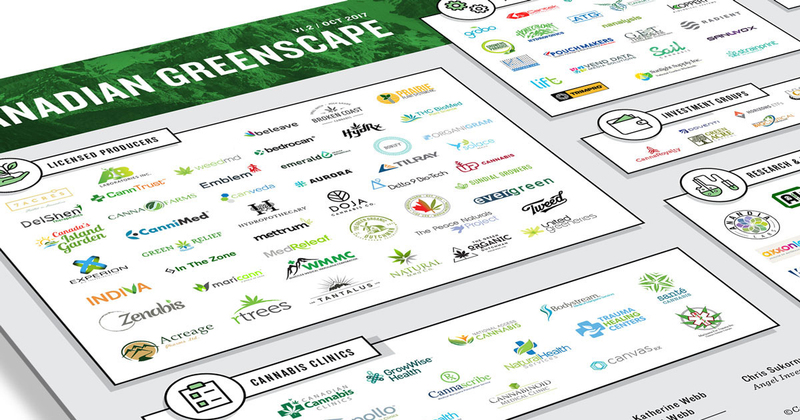 The Canadian Greenscape™ is intended to be a high level overview of the cannabis industry in Canada, identifying the major players in cultivation, technology, research, and the retail sector. As the cannabis landscape in Canada changes and evolves, so will the Greenscape. You can download the latest version of the Canadian Greenscape at canadiangreenscape.ca. Explore and enjoy!